A town with the rich mining history of Crested Butte is sure to have a few interesting stories. The upper valley and surrounding mountains were home to silver booms in the late 1860’s and then major coal mining. An explosion at the Jokerville mine in 1884 killed between 59 and 69 miners. Many folks eager for fortune and a better life flocked to the area and it seems some have never left. The early settlers of the area included a lady named Elizabeth or more commonly known as Liz. It seems Liz had fallen in love with a transient gambler and had given him her entire life’s savings to use in an all night gambling event. It turns out the gambler won big that night thanks to Liz. He promptly returned the favor by leaving town (unbeknownst to her) with her money and his winnings. Soon afterwards, a distraught Liz threw herself out a Forest Queen Hotel window into they freezing waters of Coal Creek. There have been many reports by guests at the hotel of Liz banging around, slamming doors, and keeping them company late in to the night. This recently renovated lounge serves up delicious cocktails in a cozy atmosphere. But you won’t be enjoying your drinks alone. As the name states, this used to be a cabin where miners once resided and it seems some have chosen to stay. 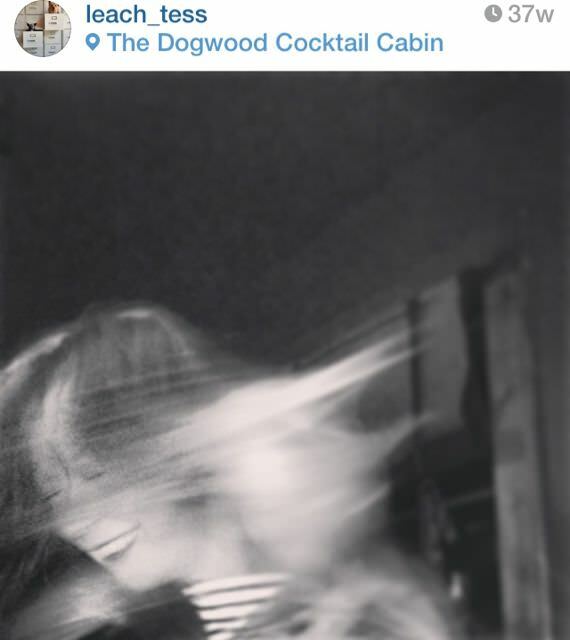 A few of these ghosts enjoy nothing more than messing with the occasional photo taken in the cabin. Add to that a creepy painting in the restroom and this is a must stop on any ghost tour of the town (and the drinks really are amazing). If you happen to be driving up the mountain around dawn, beware of a man on the side of the road near the Crested Butte cemetery. According to reports, he’s looking for a ride to Gothic and had lived in Irwin. A number of encounters with this ghost confirmed he’s a bit dirty, smells bad, and is baffled by modern transportation, once stating “What do you call this wagon?” He seems to be on the friendly side, though if you have any pets in the car, they won’t be too pleased. For additional stories inquire with Crested Butte’s ghost experts, Barbara Mason and Henrietta Raines. Barbara can be found at the Museum in town. Feel free to share your own stories and encounters in the comments below.